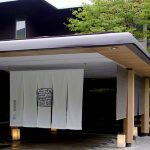 Gora Byakudan is one of Hakone’s newest ryokan-style accommodation choices. 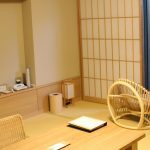 It’s a beautiful new Japanese-style hotel with outstanding views in a secluded, peaceful setting. 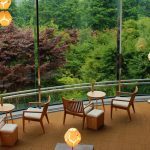 The location is wonderful, and the glass lobby offers some spectacular views. 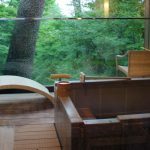 It is here that guests also enjoy their breakfast and evening meal, gazing out at the fog, and rolling hills of Hakone is a real treat. Access: From Odawara Station (JR Tokaido Shinkansen) East Exit: Take the Izu-Hakone Bus bound for Kojiri / Hakone-en and get off at Midori-no-mura Iriguchi Bus Stop (about 45 minutes). About 2 minutes on foot from there, or taxi.